Yesterday, I had the pleasure of joining the inauguration of Dr. Peter Cimbolic as the 15th president of Ohio Dominican University (ODU). Held in the recently completed Alumni Hall, the well-attended event honored both the institution's new leader and the growth of the university. During the '00's, ODU was one of Ohio's fastest growing independent campuses, not only in enrollment, but also in physical development. In the past three years, ODU has completed the Alumni Hall adjacent, the Bishop James A. Griffith Student Center, a new residence facility, Lyham Hall, and Battelle Hall Science Center. It also acquired a nearby building that is being converted to classes for its adult-focused LEAD program. The changes will properly set the stage for next year's ODU Centennial. ODU has long supported AICUO. 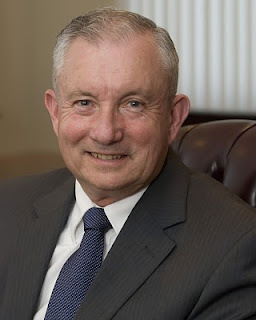 Not only have two of Dr. Cimbolic's three most-recent predecessors served on the AICUO Executive Committee, but ODU trustee Tom Winters currently serves in that capacity. The more unusual aspects of yesterday's inauguration included a wonderfully personal introduction of the new president by a faculty member from American University in Washington, D.C. Dr. Kathleen Cimbolic Gunthert is associate professor of psychology who happens to be Dr. Cimbolic's daughter. She spoke not only of her obvious affection for him, but also of his commitment to education. I must also compliment ODU's Chair of its Board of Trustees, Galen Barnes, who easily was funnier in his five minutes than every other board-chair speaker I have ever heard at an inauguration. Since I met President Cimbolic several months ago, I have seen him move matters forward on campus that elsewhere would have required months or years of unnecessary contemplation for its own sake. Yesterday's events formally commenced—for the better—a new era at Ohio Dominican University.